By artful_golfer, March 20 in What's In Your Bag? 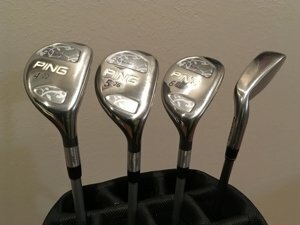 This predominantly Ping Serene setup is my first set of clubs. I was fit for them 4.5 years ago. With the exception of a couple short injury rehabs, I have given my best to wear them out with practice. The TaylorMade r7 4 iron and the RTX gap wedge were new additions over the holidays to help fill in some problem scoring areas. The zany skins on the woods are my own designs and have helped to protect those from scuffs. Plus they're fun to look down at when I play. 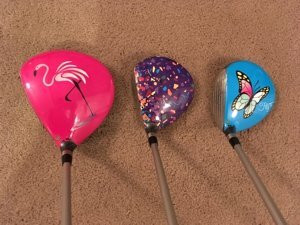 I switch out my Kitten driver head cover with Wonder Woman and a Pink Flamingo. 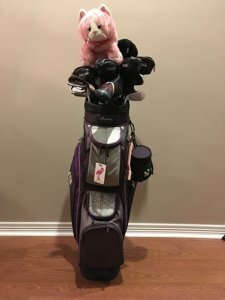 Nice to see a lady golfer posting! Is it safe to assume you've been playing about 4.5 years? Welcome to the forum! @MaxEntropyYes, about 4.5 years minus a few months from two shoulder injuries. Welcome to the forums, @artful_golfer! I have to ask: what's the role for the TaylorMade 4-iron in your setup? It stands out, so I assume you carry it because it performs a specific role for you. @GolfSpy MPRYou are correct it has a specific role. 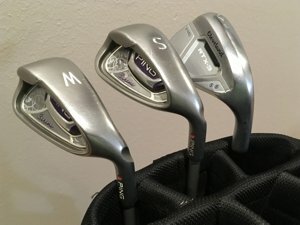 I chose hybrids irons 4, 5 and 6 when ordering my clubs because I was told that they are perfect for hitting out of the rough. But I just can't seem make them work in taller grass. 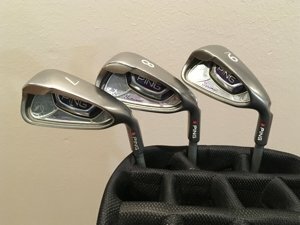 I was frustrated and felt that my only choice for long irons was hybrids was holding me back. It may be mental but I dreaded using them, so often opted for my 7 iron instead. Not really knowing what I was doing and without his knowledge, I lifted a 1 iron from my son's bag into mine one day going out to play in Colorado. It worked! 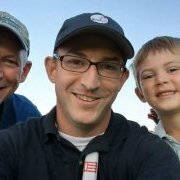 So I asked my son (@downlowkey on MyGolfSpy) to help me find a long iron I could try. He found the TaylorMade 4 iron at a thrift store in Colorado for $1! It is now my favorite go to club when in the rough. 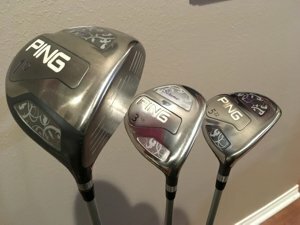 Even though I hit the TaylorMade 4 iron further, I still use my Ping 4 hybrid in the fairway because I'm more consistent judging it's distance. Of course, the optimal goal is to keep my ball in the fairway (and I'm improving on that front since adjusting my grip and swing) the reality is I still manage to get myself in trouble. Well well. I now see where he gets his well-spoken rhetoric from. That @downlowkey is one smart fellow so I'm not surprised he was able to help you find a good fit for that part of your bag. You've gotten some good use out of that starter set. I'm loving those skins. A dude in my league plays with one that looks like a pink sprinkle donut and I always thought that was a cool idea. Yep, @downlowkey is very special and I say that not just because he happens to be my son. At the time I ordered my skins, BigWigz was the only one on the market that would allow me to design my own skins. 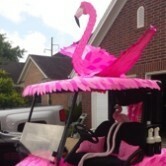 They had tremendous customer service and were not too difficult to apply. Recently I've tried to order new design ideas but cannot find the custom option or even a working website for BigWigz. The only option I find is to order the ready made selections from what I think may be a third party supplier. That @downlowkey is one smart fellow so I'm not surprised he was able to help you find a good fit for that part of your bag. Alright, alright - I think that's just about enough, from the both of you. 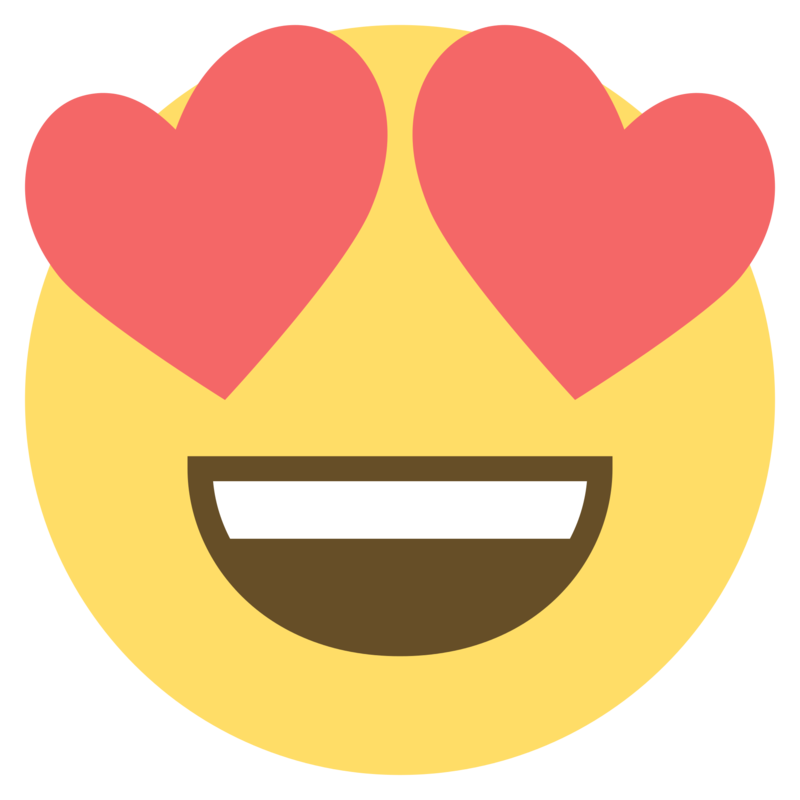 But seriously it is great to see a female golfer posting, and offering her opinion on what they look for in equipment and their bag setup. How are you enjoying the Edel putter? Torque balanced I have heard has thrown a few golfers off, but having maybe started left handed putting your release may suit the Edel? It took a while for me to feel comfortable with it but I now like it ok. Putting came easy to me with my two Odessey left-handed putters before my Edel. True to my fiercely independent self I went shopping for my first putter on my own. I chose one simply because more balls when in the holes when testing it plus I liked that it was small and sleek. Later I was told it was a difficult and unforgiving putter, but I was naively delighted with it. I was a happy putter. I naturally use and switch which hand I use for tasks but I'm right dominant (right is more coordinated / left is stronger and I'm left eyed). I must work harder and practice more to putt right-handed. I have a little bit of an arc in my putting stroke so must pay attention to use a straighter stroke or my ball consistently ends up left of that little hole in the ground. 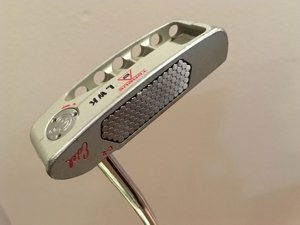 I do like the heavy feel of my Edel putter. The weight seems to help me control my stroke. I understand I have two weighted areas in the putter head and one inside the shaft about 6 inches down from the top. I have no idea if that is normal for the Edel brand but that was the suggested result from my very interesting fitting process. I opted for the smaller round grip because it is more comfortable in my small hands. It is definitely cool to have my initials stamped in the metal on the underside. I have trouble keeping up with blade putter covers. My putter sits in a putter slot at the front of my bag. The blade covers seem to like to wander because they wiggle loose and fall off from pressure in hitting down on the top of my bag. So far, lost ones have always been turned in to the pro shop. Love honest golfers!